Online Sheet Music Blog: Piano Etudes: Pedagogy or Art? Piano Etudes: Pedagogy or Art? 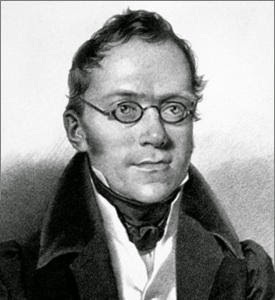 The Austrian composer and pianist Carl Czerny is notable for many reasons. Early on, he was a child prodigy and a pupil of (and personal assistant to) Ludwig van Beethoven. A renowned pedagogue, he taught, among others, the virtuoso Franz Liszt and wrote an extraordinary amount of music himself. Above all, Czerny has the unfortunate reputation as a composer of tedious, really boring piano exercises (a good example: Op. 821, 160 Eight-Measure Exercises). While it is unfair and inaccurate to suggest that Czerny’s contributions are mediocre or of little lasting value, it is admittedly difficult to enjoy listening to his myriad books of piano etudes, or studies. Didactic and dry, they succeed in enhancing the playing technique of the performer, and perhaps little else. It took the revolutionary ingenuity of Frederic Chopin to transform the etude from a bland exercise to a true art form. His piano etudes retain the original intent of the musical form – consider Op. 25, No. 10, which requires the performer to play a number of demanding octave passages, or Op. 10, No. 1, which focuses on right-hand arpeggios. At the same time, he imbues these exercises with a vitality, and often beauty, that is not present in the technical studies of a Czerny. Other composers followed suit: Liszt, with his extremely challenging Transcendental Etudes; Charles-Valentin Alkan, who experimented with innovative harmonies and structures in his etudes; and Sergei Rachmaninoff, who largely dispensed with the didactic ‘spirit’ of the etude form and instead explored compositional style and technique in his Études-Tableaux. Though its origins may superficially be found in the pedagogical inclinations of the likes of Carl Czerny, the etude as a form has evolved considerably over the centuries. It can be something more: a work of beauty, of creativity and innovation, of experimentation and iconoclasm. The etudes of John Cage and György Ligeti bear little resemblance to those of Liszt and Chopin. Consider listening to piano etudes today!